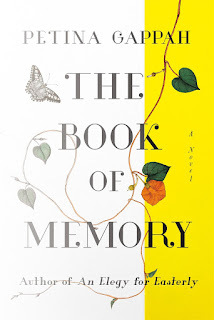 Albinism superstitions and discrimination, a civil war, mental health issues, criminality of homosexuality and abandonment issues are all packed into Pettina Gappah's The Book of Memory. She covers a lot of territory in under 300 pages, but it never feels rushed or frenetic. Perhaps it is because her narrator seems to stay calm in the midst of her chaotic life. Memory, our narrator, is in jail, sentenced to death for the murder of her adoptive father, Lloyd. From the very beginning the reader is told that Memory did not kill Lloyd. To understand why she's still in jail for a crime she didn't commit, you have to understand what was going on in Zimbabwe at the time. Because Memory is an albino, assumptions are made about her - that she is cursed, that she can harm children, etc. As a child, she is shunned by her classmates and taunted daily. Her mother's mental instability means Memory is often on the receiving end of her verbal lashings. While her father does his best to protect Memory and all of the children from their mother, Memory finds herself sold to a white man for reasons she can't fathom. Lloyd is different from Memory, but it's his difference that allows him to accept her as she is. At first I thought surely he had taken her in for illicit purposes, but he really is a kind man and exposes her to a life she would have never led had she stayed in the village with her family. Highly educated at Lloyd's expense and living outside of Zimbabwe, it's hard to imagine why Memory would return to the country where she faced so much ridicule. Civil war has ended in Zimbabwe and the country formerly known as Rhodesia has been reclaimed from British colonialism. At a time when whites are being killed in their homes and their lands seized, Memory and Lloyd make for an odd pair. Still, he is the one constant in her life and, at this point, she's been with him longer than she was with her own family. It's only natural then that when she finds him indisposed, she covers for him, keeping his secret while surrendering her freedom. Memory is the only woman on Chikurubi Maximum Security Prison's death row, an example being made of her. At a time when whites are in fear of their lives, sentencing her to death is meant to send a message to others that actions such as these are not to be tolerated. . Her days are filled with interactions with prostitutes, financial scammers, etc., women who certainly hadn't committed crimes as abhorrent as hers, but who still must be housed somewhere for the long term. Their back stories and day to day lives are quite entertaining. Flashing back between present day and her past, we finally come to understand the real story of how and why she came to be with Lloyd. You have to wonder if knowing then what she now knows would have changed her life and I really believe it would. Her path was set the moment she believed that her parents sold her. This wasn't a gripping read. By that I mean it wasn't a book I just couldn't put down. Still, I wanted to know Memory's story and felt compelled to find out what happened next with her. I can see why it's been longlisted for the Women's Prize for Fiction.